The Dattoli Cancer Center was founded in 2001 by Michael Dattoli, MD and Richard Sorace, MD, PhD who had been in practice together in Tampa for nearly a decade. It was their dream to create a true state-of-the-art cancer center specifically for the non-surgical treatment of prostate cancer. In leaving Tampa, they put their heads and hearts on the line to make this dream a reality. This Center would encompass all the latest technology for diagnosing prostate cancer and for treating it non-surgically, and would become an incubator for research and technical design. The breadth of experience and the unmatched proficiency of these two radiation oncologists at work in this progressive environment fueled the Center’s rapid acceptance and wide spread reputation. Today the flow of patients to the Dattoli Cancer Center from all over the globe is a testament to the hard work and forward thinking of Drs. Dattoli and Sorace since the founding of this remarkable Center. These two specialists trained at some of the most highly regarded cancer research facilities in the world. 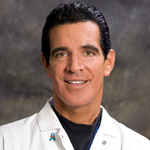 Michael J. Dattoli, MD, is a board-certified radiation oncologist with well over two decades of brachytherapy experience and has performed thousands of prostate implant procedures. He is considered the foremost pioneer optimizing brachytherapy designs to maximize tumor eradication and minimize symptoms. Dr. Dattoli has successfully applied the same technology to other forms of cancer, including breast, head and neck, GI, GYN, sarcomas and lung malignancies. He is a noted author and speaker in this complex field of medicine. Dr. Dattoli attended the University of California at Berkeley and was the Valedictorian of his class at Vassar College; he earned his medical degree at Mount Sinai School of Medicine, Radiation Oncology at New York University Medical Center, then distinguished himself at Memorial Sloan-Kettering Cancer Center and New York Hospital-Cornell University Medical Center, as the Special Fellow in Brachytherapy. He was appointed Associate Professor in Brachytherapy and Radiation Oncology at Memorial Sloan- Kettering Cancer Center in New York and at New York Hospital-Cornell University Medical Center prior to relocating to Florida. 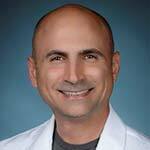 Dr. Dattoli serves on multiple journal editorial review boards. Government appointments include “The Prostate Cancer Task Force” in Florida and consultant to the “Washington Oncology Roundtable Advisory Committee”. He was selected by the International Association of Oncologists as a Leading Physician of the World and top Brachytherapist.